Thank you for visiting our website, your business is important to us and is much appreciated! We are a 25 year promotional products and garment branding company located in Airdrie, Alberta, Canada. 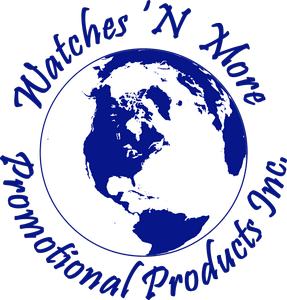 Watches ‘N More is now fully on-line to assist you with your branding needs. Our 300+ valued customers include building management, construction and engineering companies, local not for profit groups, government offices, cities, towns and municipalities, small businesses, large corporations and many more. When you order with us we will..
Our goal is to assist you in promoting your brand. Please let us know how we can work with you to achieve your branding success!